The talcum powder ovarian cancer attorneys at Dr Shezad Malik Law Firm are investigating Johnson & Johnson, a leading manufacturer of talcum powder. Dr Shezad Malik Law Firm is based in Dallas, Texas and handles dangerous drugs and defective product liability cases in all 50 states, including California, Illinois, Florida, New York and Texas. Medical studies have demonstrated a link between talcum powder use and ovarian cancer in women. Johnson and Johnson (J&J) is the world's largest pharmaceutical and medical device maker. 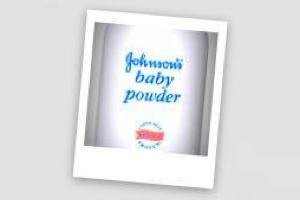 Johnson and Johnson is also well known for their consumer line of cosmetic products including Baby Talcum Powder and Shower-to-Shower feminine hygiene talcum powder. Talcum powder cancer lawsuits are one among many product liability litigation suits the pharmaceutical and medical device conglomerate is facing; others include Tylenol liver failure, Ethicon transvaginal mesh injury and incontinence, Risperdal gynecomastia from use in boys and early metal on metal hip failure and replacement for DePuy ASR and Pinnacle hips. If you or your loved one was diagnosed with ovarian cancer possibly linked to talcum powder use, please contact Dr Shezad Malik at 888-210-9693 ext. 2 or 214-390-3189. What is the Link Between Ovarian Cancer and Talcum Powder use? Women who regularly use talcum powder increase their risk of ovarian cancer by 24%. Several previous medical studies have investigated the link between the powder and cancers. Some have detected links with ovarian and uterine cancer but others have proved inconclusive. In the latest studies, doctors at Brigham and Women's Hospital in Boston, U.S., pooled data from eight separate studies to try and come up with a definitive answer. This kind of research, known as a meta-analysis, is designed to produce stronger findings than smaller, individual studies. The researchers analyzed data from 8,525 women diagnosed with ovarian cancer and compared talcum powder use with that of 9,800 women who remained cancer-free. The disease accounts for about five per cent of cancer deaths in women. It's sometimes known as a 'silent killer' because for many victims symptoms only appear once it is already fairly advanced. The main risk factors include a family history of the disease, having already had breast cancer and starting periods at a young age. Talcum powder is made from a soft mineral called hydrous magnesium silicate that is found throughout the world. It is crushed, dried and milled to produce powder used in cosmetic products by millions of people. Some experts say it shares chemical similarities to asbestos, which can cause a deadly form of lung cancer called mesothelioma. Tiny particles have been found to travel up through the genital tract and been found deep inside the pelvis. They can also last inside the body for years. It is estimated that one particle of talc in the lungs, for example, would take eight years to dissolve. By the time ovarian cancer is diagnosed, it has usually spread or metastasized making it difficult to treat, and only 20% of women diagnosed with advanced ovarian cancer survive. According to a recent Harvard study, women who use talcum powder in the genital or perineal region could be at a 41% higher risk for developing ovarian cancer. Ovarian cancer is a serious disease which claimed a projected 14,000 lives in the United States during 2013 (ovariancancer.org/about-ovarian-cancer/statistics/). Dr Shezad Malik Law Firm now investigating and accepting cases, our talcum powder cancer lawyers are currently accepting claims in all 50 states on a contingency fee basis. This means that our clients won’t owe us a penny unless they are successful in recovering just compensation for their damages. To learn more about ovarian cancer talcum powder lawsuits, please contact us for a free and confidential legal consultation.